Day 1: Marrakech - Ouarzazate - Boumalne Dades (340 km): Pick-up at Marrakech and head towards the Dades gorges crossing the High Atlas via Tizi Tichka (2260m). 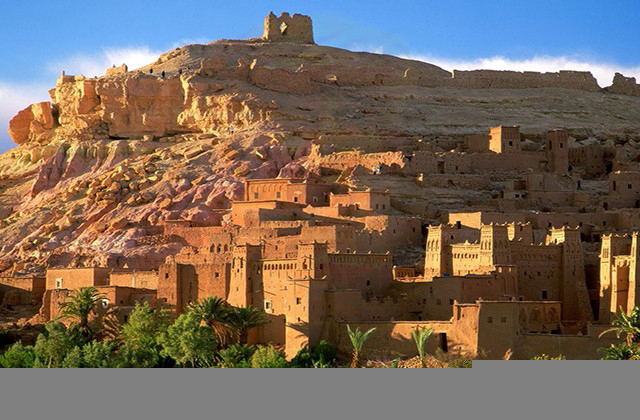 We visit the Kasbah of Telouet in the Ounilla Valley, then the famous village Ait Ben Haddou, which is classified as World Heritage by Unesco and lunch break. 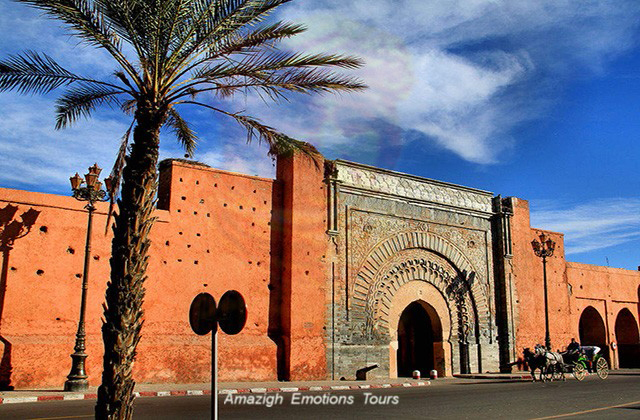 Afternoon, a photo stop in front of the cinema center and in the Kasbah Taourirte (the old Ouarzazate). 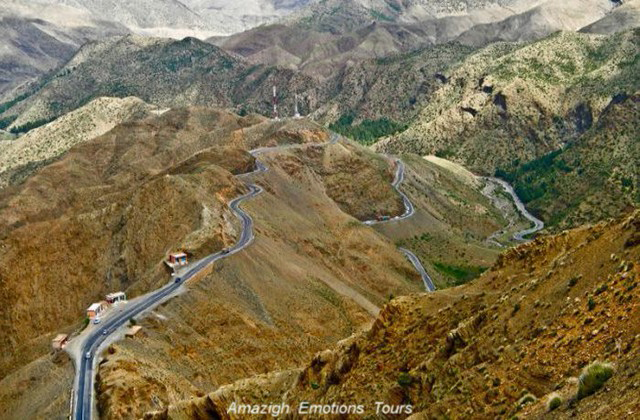 Then continue the road of thousand kasbah by the fascinating valley of roses at Kalaat M'gouna to reach the Dades Valley. Overnight in a Kasbah Hotel. Day 2: Boumalne Dades - Tinghir - Erfoud - Merzouga (320 km): In the morning after breakfast, we head to the desert of Erg Chebbi visiting the Todra Valley and its impressive gorges, then a photo stop to the old irrigation systems (foggaras) in Jorf, then the workshop of marble and fossils in Erfoud. Lunch will be on the road, then visit the Mausoleum of Moulay Ali Cherif (The founder of the Alawite dynasty) and Ksar Abdel Halim in Rissani. 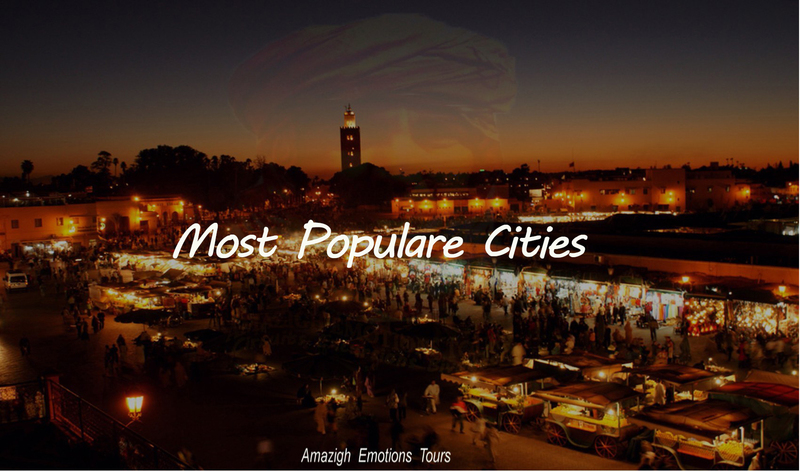 Finally, we come to Merzouga dunes to attend a wounderful sunset in the world and overnight in a Hotel Kasbah. 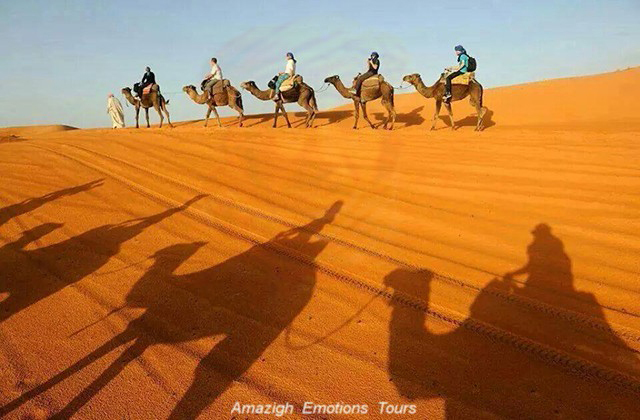 Day 3: Merzouga - Erg Chebbi Tour - Merzouga (120 km track): After the breakfast, we will make the big tour to explore the area of Merzouga desert. We cross the temporary salt lakes, black desert with volcanic stones, hamada, sand dunes, dry rivers, tracks of Paris-Dakar, nomadic local families, old mines of Mifis and small villages oasis like Khamlia of the Gnawas (blacks of Sudan). Lunch be will on the road, then back to your accomodation to start the nomadic experience on camel passing a quiet night in the desert under nomad tents and shooting stars ...! Day 4: Merzouga - Zagora (track 240 km / road 300 km): Early departure to the famous Draa valley to Zagora (former starting caravans for "Timbuktu 52 days". Either the track via Taouz with a photo stop the rock carvings, Maider lake (lunch), then by the Tizi n ' Tafilalet exploring desert landscapes ... or by road via the small towns of Rissani, Alnif, Tazzarine and Nekoub (lunch). After we descend with the wonders of Oued Draa to get to Zagora in the late evening. Overnight a Riad, where in a private camp in the desert. 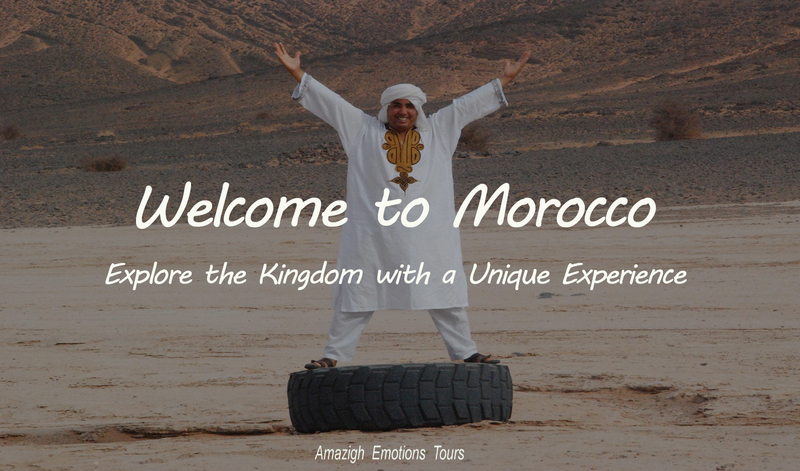 Day 5: Zagora - Agdz - Ouarzazate - Marrakech (360 km): At 9 am, we go back to Marrakech (the red city) along the fascinating Draa valley, the longest river in Morocco with his immence pre-Saharan oasis and Ksours. 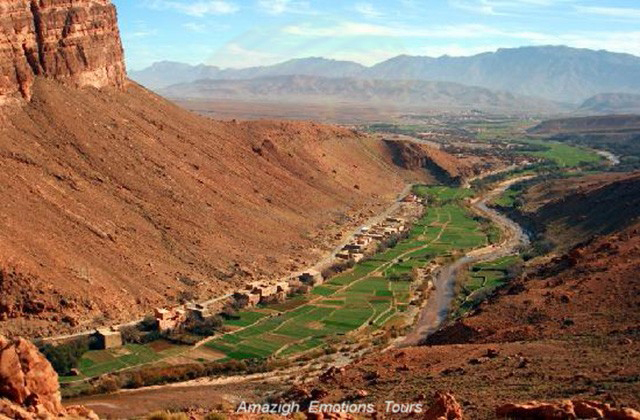 We cross the Anti Atlas via the old fort of Agdz (resting place) and the Tizi n'Tinififft (1660m) to reach Ouarzazate and lunch. Afternoon, we continue on the main road through the Berber villages of Amerzgane, Agouim, Igherm and Tichka to arrive at Marrakech in late afternoon and end of our trip. 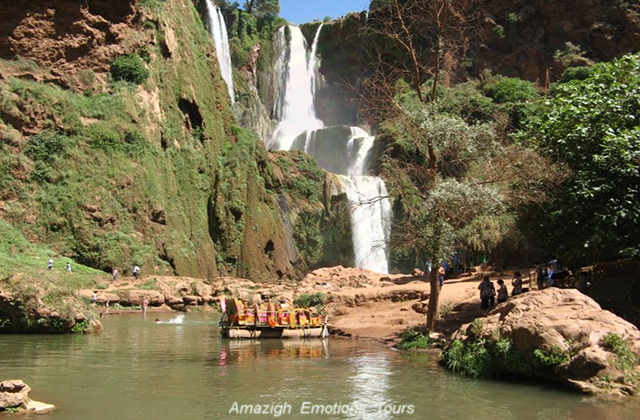 Day 1: Marrakech - Ouzoud Waterfalls - Zaouiat Ahansal (340 km): Departure at 8 am for Dar Ahansal in the heart of the High Atlas through Ouzoud. Arriving in his vast successive increases of more than 100 m high with its wonderful setting and lunch break at a local restaurant outdoors. 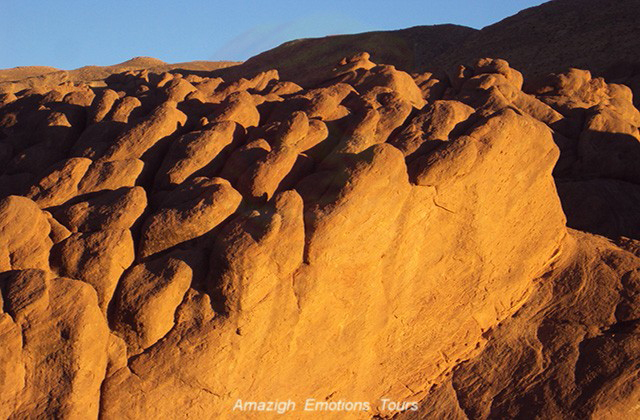 Afternoon, continuation of our road to reach Zaouit Ahansal late in the evening, dinner and overnight in a Kasbah Hotel. 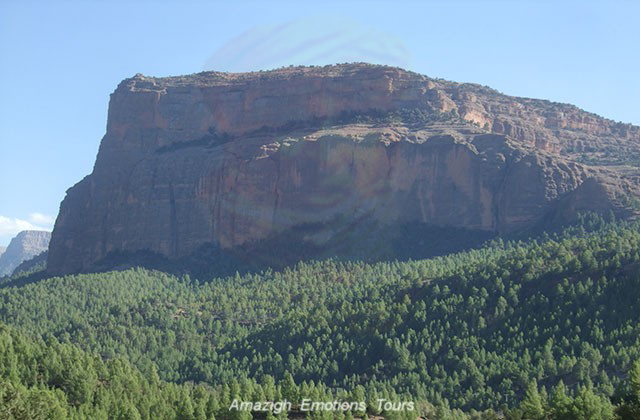 Day 2: Zaouiat Ahansal - Imilchil - Amellago (340 km): After breakfast, we will travel to Amellagou monatgnes crossing the High Atlas and the Berber villages. A photo stop of the cathedral resembles a temple, then continue to reach the two sacred lakes (Isli & Tislit) in the village of Imilchil and break lunch as a picnic in the open air where at a local restaurant. 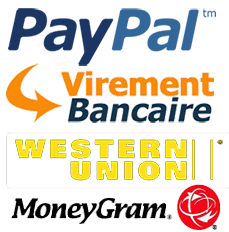 Arrive in the village of Amellagou and night in a typical Auberge. 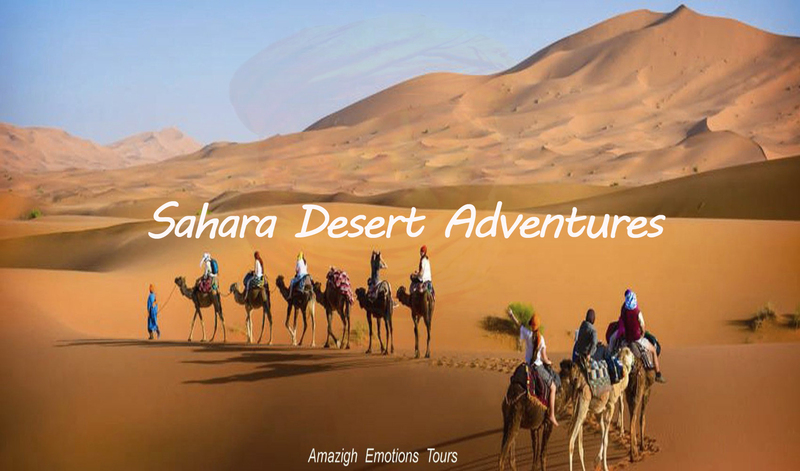 Day 3: Amellago - Errachidia - Merzouga (340 km): At 9 am we continue our adventure through the High Atlas mountains to beautiful sand dunes of Erg Chebbi. 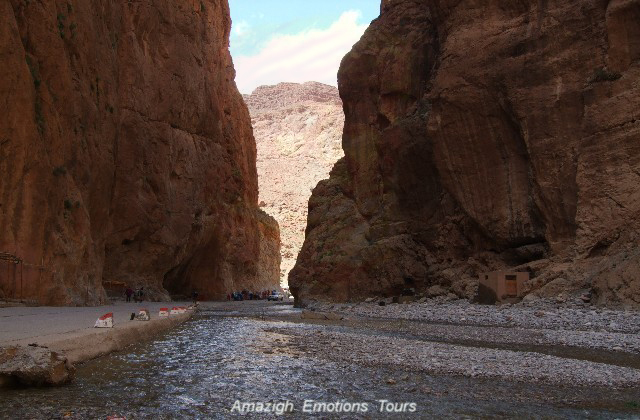 After the town of Rich, we're in the Ziz area with beautiful canyons and gorges. 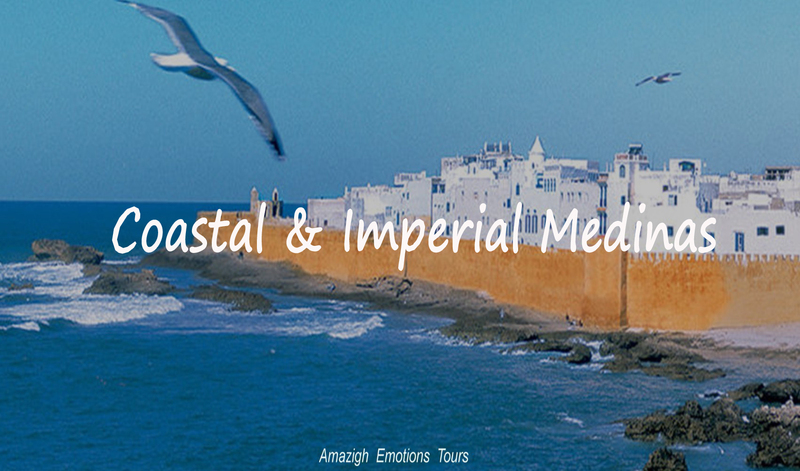 Visit the old kasbah Amezzouj, then lunch break to Errachidia. 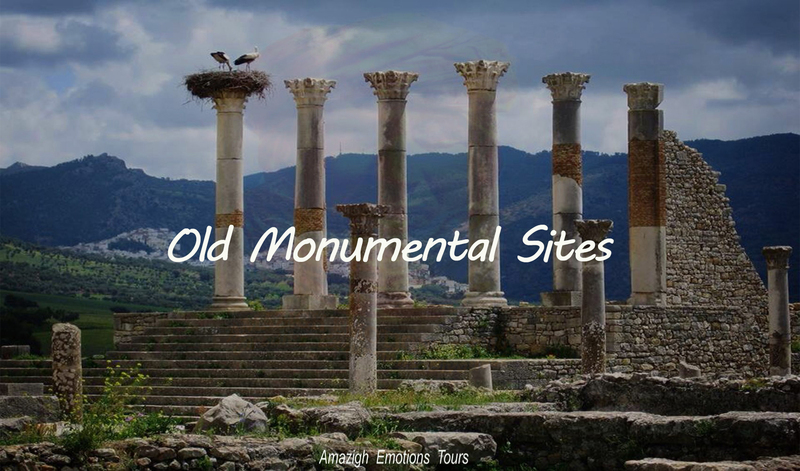 Continuing along this great Ziz Valley by visiting the marble factories with fossils of Erfoud and the old Ksar Abdel Halim Rissani. Arrival at Merzouga Sahara and a night in a hotel Kasbah, where to go with the camels to spend the night in a private bivouac. 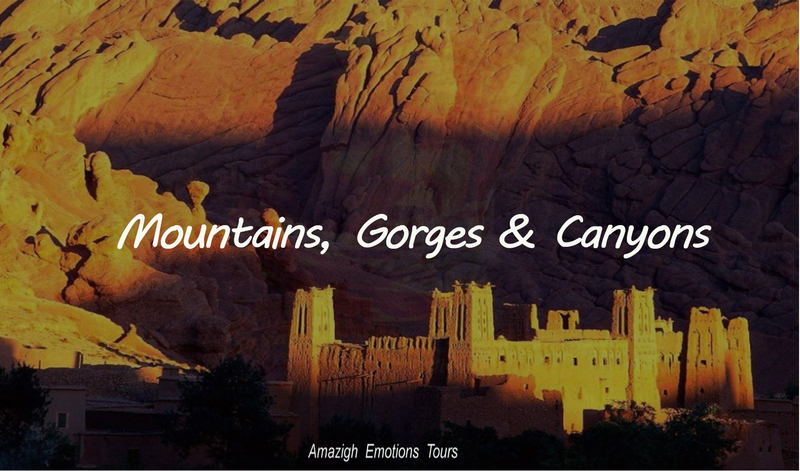 Day 4: Merzouga - Tinghir - Roses Valley (340 km): In the morning we went to the valley of roses through several different landscapes and small villages Jorf (Ancient Irrigation systems), and Touroug Tinjdad to reach the famous Todra preferred by mountaineers. After the lunch break, a short walk is proposed and then continue our journey to visit the valley and Dades gorges. Finally arrive in the roses valley and night in a Kasbah Hotel. 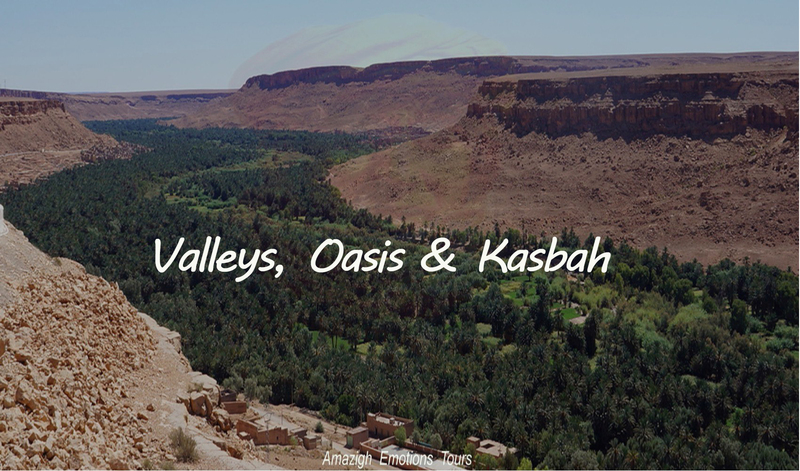 Day 5: Roses Valley - Ouarzazate - Marrakech (320 km): Early departure after breakfast to Marrakech (The red city) rolling on the road of a thousand kasbah with beautiful panoramic views and visit the kasbah of Amridhil in Skoura. 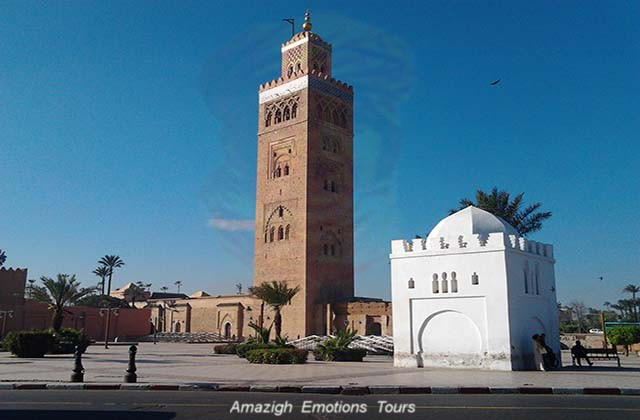 Arrival in Ouarzazate (The African Hollywood) where you will have a photo stop in front of the old kasbah Taourirte and in the studios center. 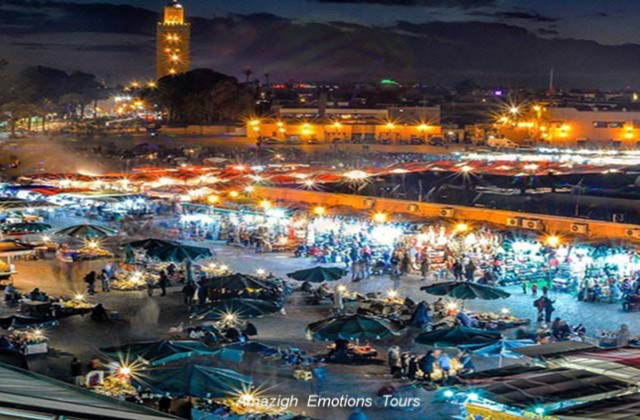 After the lunch, you'll visit the famous village of Ait Ben Haddou, then continue by Berber villages and Tichka pass (2260m) to reach Marrakech in the late evening and end of our adventure. NOTE: - Our itineraries are modifiable according to your desired programs with time, schedules of your arrivals and departures.